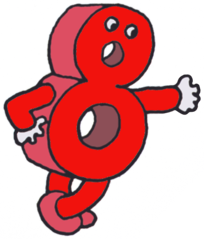 Seven Ate Nine! is available on Amazon.com for Kindle Devices and Apps. Did you ever notice how every price (including this one) ends in .99? Did you ever wonder if 9 ever gets tired from being used so much? 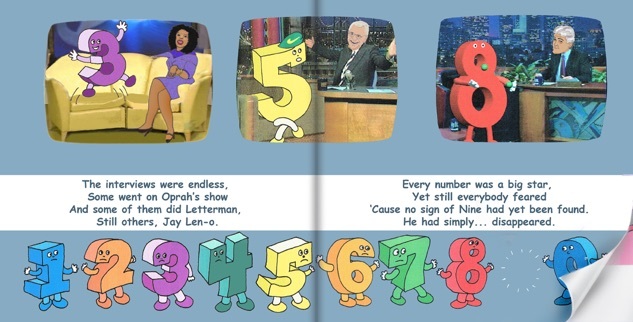 Here’s a fun rhyming story about what happens when one day the number 9 is missing and the whole world is thrown into complete chaos. A page from Seven Ate Nine!